REMEMBERING TERRORIST ACTS? BURNING QURANS? FORGET ALL THAT AND HOP ON THE ALAN PARSONS HIT PARADE! 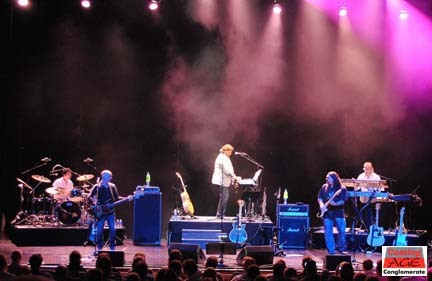 Bethlehem PA – The man, the myth, the legend, Alan Parsons playing his ONLY east coast appearance (to date) fifteen minutes from my back door. A dream come true, right? As Sarah Palin might say, you betcha! But I had no idea just how much of a dream come true it would be. I am not going into Parson’s history, save to say you have heard his work. You may not have heard his voice, or his playing unless you have purchased his recent rerelease remastered series of most of his catalog. You HAVE heard his work BEHIND the recording console. Need further proof?